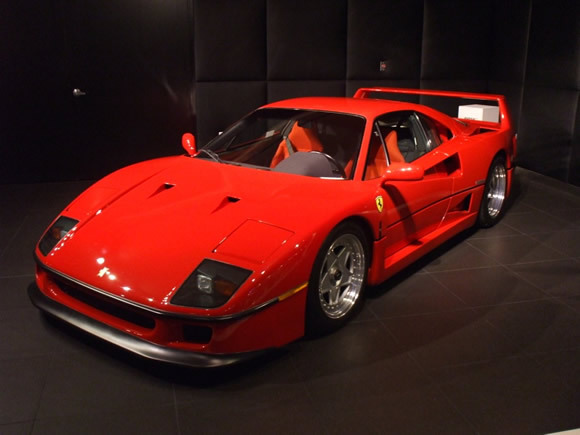 The Ferrari F40 is I believe the last of the real supercars. The last one that didn't have all sorts of techno bits and bobs that keep you safe and on the track at track days. Ferrari produced 1315 of them between 1987 and 1992 and for two years, 1987 - 1989, it was the fastest street legal production car. I'm not really a Ferrari fan and a ride in a 599 recently cemented that for me but the F40, I would own one of those in a heart beat. Watch this video of a Ferrari F40 LM being driven by former F1 driver Jacques Lafitte and you will know what I mean. This one is sitting in the Palazzo Hotel in Vegas along with some other great cars I will be putting on the blog soon. Thanks to Jeremy for sending them to me.